When landscaping services offer aeration, most people don’t think it is necessary, but for Boerne residents, it can actually save your lawn. There are different approaches one can take for aeration, but it is most typically done before seeding and feeding yards. Our company has a philosophy of composting as well as aeration. Compost has quite a few benefits which is why our team at Boerne Landscaping Pros. recommends it to anyone who wants a beautiful yard. Before any landscaping servicing, talk to our team about this service and whether or not it will help your yard. Commercial properties and residential properties because the grass needs water, oxygen, and nutrients in order to survive. However, foot traffic, equipment use, and climate factors can lead to thatch build-up and can stunt the health of your grass—everything it needs will have difficulty getting to the roots. 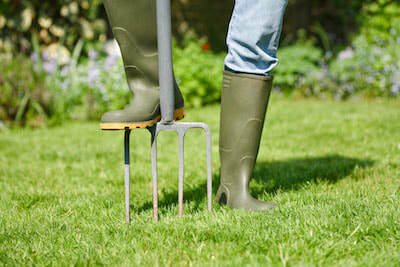 If you have a brown, patchy lawn, aeration could be the answer to your problems. It will break up the compaction that happens during all times of the year, especially summer. We suggest annual aeration for most lawns, most often in the autumn months. When we complete lawn aeration in Boerne, we punch small holes or divots in the soil that allow the nutrients to reach your roots. Our equipment is what all professional organization recommend for aeration, creating holes for your lawn, and we can adjust it so that you can get what works for you. This helps your soil get ready to absorb all of the nutrients and seeds that you can use for planting, seeding, and feeding. For some landscaping companies in Boerne, simple aerating your lawn is enough for them. However, at Boerne Landscaping Pros., we know that getting a good soil foundation for your lawn is the best possible approach. This is why we take it a step further, creating the perfect recipe for a lawn that looks great, feels good, and stays healthy year-round. Our team spreads a topsoil compost mix over the bare patches in your yard, or those that are struggling to establish themselves. This will help to improve the nutrient and organic levels of the soil, while helping with the germination of the seed. We have some of the best techniques to spread compost over the targeted areas of your lawn, techniques that will keep the seeds in place and help with watering and drainage. We always encourage our clients to have their lawns prepped and maintained in ways that will help them to stay healthy and beautiful. This is just another example of how we believe that lawn care is personal – we will never talk someone into something that they do not want. However, do encourage people to use aeration and composting if we think it is necessary. We are happy to talk to you about the specific benefits this will have for your lawn. If there is no benefit, we will tell you that as well. You should always look for a service provider in the Boerne area that will put your landscape’s health at the top of its priority list, even over curb appeal. The curb appeal will come as a result of having a lawn that is healthy and properly taken care of – especially when done by professionals. 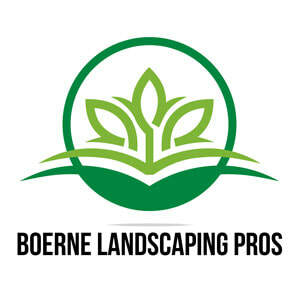 When you contact Boerne Landscaping Pros., you are contacting a company that cares about the healthy and safety of your yard, as well as the aesthetics, whether you are a residential homeowner or a businessowner that wants to attract attention. That is why we always go the extra mile to help you get the yard or lawn that you want. 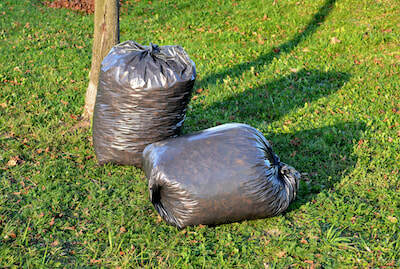 Many take aeration and composting as the first step of the landscaping process, but it can serve on its own as well. Call us today for more information about our all our Boerne lawn care services.